Here’s a “High 5” for Gilroy City Council and Police Chief Denise Turner! Gilroy has a ‘dangerous dog’ ordinance with some new “teeth” in its consequences. 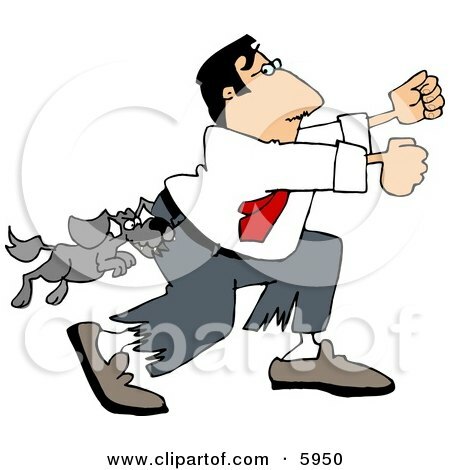 The appraiser for one of our sales was attacked by the occupant’s dog even when the dog’s owner was right there with the appraiser. I was in another part of the home and heard the commotion. Unless you have experienced it yourself you cannot know the horror such an attack can have. Not only is the event itself bone-chilling but the vivid memory of the attack lives long in the mind of the innocent person who was assaulted. To the appraiser’s credit the value of the home was not negatively affected. A friend of ours little girl was playing with her neighbor friends when their dog attacked her. The top half of her ear was torn off and she had teeth punctures in her forehead. The medical treatment included a rabies regimine. While she recovered physically that girl had emotional problems for many years after. What do you think? Do you think Gilroy’s toughened animal control ordinance went too far, not far enough? If you think Gilroy, like San Francisco and Santa Monica over reacted to dangerous dogs I have one question for you: have you personally been involved in or know intimately of, a dog attack? Click here for the details of Gilroy’s new ordinance. I agree with you. Dangerous dogs should be dealt with like other weapons charges. Thank you for the post. I hadn’t thought of dangerous dogs like a weapon but in too many cases they really are aren’t they?